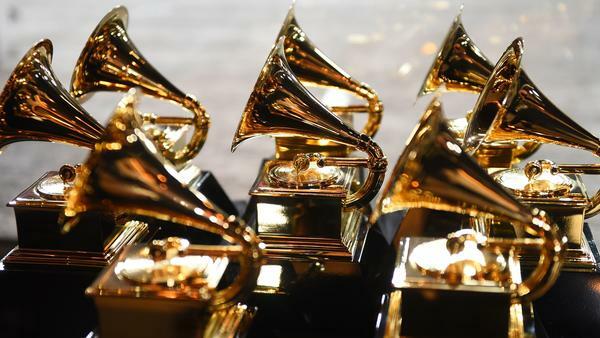 Winners of this year's Grammy Awards will be announced Sunday, Feb. 10. It's been a year since outrage erupted in the music business after Neil Portnow, president and CEO of the Recording Academy, the organization which gives out the Grammys, said in an interview that women should "step up" if they wanted to be recognized in the music industry. In the days and weeks that followed, there was a volley of calls for Portnow's resignation, and for changes in the Grammy process. But gender inequality issues in the music business go far beyond one awards show. The road to this year's Grammy Awards show has been bumpy. On Thursday, pop star Ariana Grande, who's up for two awards — announced on Twitter that she won't even attend the ceremony. She'd been slated to perform — but the show's producers reportedly insisted that they would choose her set list. She wanted to make the decision. The show's producer, Ken Ehrlich, reportedly told the AP on Thursday that the singer "felt it was too late for her to pull something together." Grande quickly fired back, accusing Ehrlich of lying. In a series of tweets, she wrote: "i can pull together a performance over night and you know that, Ken. it was when my creativity & self expression was stifled by you, that i decided not to attend... i offered 3 different songs." The Grande situation echoes a similar situation last year, when Lorde, who was the one female nominee for Album of the Year, was not allowed to perform solo. That was one of the catalysts that led to Neil Portnow's "step up" comments. Portnow, who has headed the Recording Academy since 2002, announced last May that he will be stepping down this July when his contract expires; he declined NPR's request for an interview. Melinda Newman, West Coast editor of Billboard, says that the Recording Academy is just part of a larger issue. "They don't have any jurisdiction," Newman observes. "They don't put out content. They don't make records themselves. So in some ways, a lot of the hue and cry that we're seeing from Neil Portnow's remarks really are reflective of just the general music industry and the lack of diversity in the general music industry." The numbers bear Newman's argument out: Women are missing in popular music. "They only represent about 21 percent of all artists," notes Stacy L. Smith, the founder and director of the Annenberg Inclusion Initiative at the University of Southern California. Earlier this week, her team released its second annual report about the percentage of women working in the music industry, based on the Billboard Hot 100. "Twenty three percent of the 700 songs in our sample had one of 10 male songwriters attached to them," Smith continues. "So, culturally we're allowing 10 men to set the norms — that really doesn't represent the world that we live in." Smith says that lack of women's voices really shapes pop music. "It directly translates to what is being told or communicated to audiences," she continues, "about norms, about lived experiences — and we're seeing females shut out from this process." Since the Annenberg researchers released its initial report last year, not much has changed in terms of the numbers of women working in the music business; Smith calls this year's findings a "rinse and repeat" of the team's 2018 report. Katherine Pieper, another Annenberg researcher, says the group also interviewed women about working in music as part of its 2019 report. She notes that this same team has also studied the film business — an industry that has had some of its #MeToo and gender disparity issues quite publicly aired. "We interviewed both female directors and executives in the film industry who were knowledgeable about the process of hiring female directors," Pieper says. "We asked them some similar questions about the barriers facing female directors, and why there were so few women working behind the camera. And the answers that we heard there were very different. We heard a lot about the need to finance a film, and the difficulty that women had getting the resources to make their movies. We heard about women's ambition, and the difficulty of networking." "In this study of the music industry," Pieper continues, "we heard much more about the lack of attention paid to women's contributions and the way that they were treated in the studio. This was a very different set of barriers. They were hit on. They were the object of innuendo, they felt personally unsafe in certain situations. Oftentimes, their contributions were ignored, or not acknowledged — even dismissed by the people they were working with." The Grammy organization is hoping that it can emerge from last year's condemnations as a leader. Tina Tchen is a co-founder of the Time's Up Legal Defense Fund and was Michelle Obama's chief of staff. Last spring, the Recording Academy asked Tchen to lead its new task force for inclusion and diversity. "Of producers in the music industry, only two percent are women," she says. "Of engineers in the music industry, only three percent are women. It's the 21st Century, and we're talking about in these key roles in the music industry." So, earlier this month, the Recording Academy announced a new program: It's asking any business or individual who hires record producers or engineers to consider at least two women for any project. The initiative already has over 300 signatories; artists who have pledged to participate include Cardi B, Post Malone, Pharrell Williams ... and Ariana Grande. "We thought this was an important first step," Tchen says. "Through this initiative, we really gave everybody something to do that's really concrete, and is really going to make a difference." And though it's a start, Tchen says, bigger shifts are going to much more time to achieve. "We have taken decades, if not millennia, to get in this position with respect to how women advance in our broader culture, not just in this industry," Tchen notes. "So it's going to take us a lot more than one year to solve this issue." Winners of this year's Grammy Awards will be announced Sunday night. Last year, outrage erupted when the president of the Recording Academy, which gives out the Grammys, said women should, quote, "step up" if they wanted to be recognized in the music industry. There were calls for the Recording Academy's president to resign and for changes in the Grammy process, but NPR's Anastasia Tsioulcas reports that the problems in the music business go well beyond the Grammys. ANASTASIA TSIOULCAS, BYLINE: The road to this year's Grammy Awards show has been bumpy. Yesterday, pop star Ariana Grande, who's up for two awards, announced on Twitter that she won't even attend the ceremony. She'd been slated to perform, but the show's producers reportedly insisted that they would choose her set list. She wanted to make the decision. ARIANA GRANDE: (Singing) Breakfast at Tiffany's and bottles of bubbles, girls with tattoos who like getting in trouble. TSIOULCAS: It's a lot like last year, when singer Lorde, who was the only female nominee for Album of the Year, was not allowed to perform solo. That was one of the things that led up to Neil Portnow's step up comments. Portnow announced last May that he'll be stepping down this July when his contract expires. He declined NPR's request for an interview. Melinda Newman, West Coast editor of Billboard magazine, says the Recording Academy is just part of a larger issue. MELINDA NEWMAN: They don't have any jurisdiction. They don't make records themselves. So in some ways, a lot of the hue and cry from Neil Portnow's remarks really are reflective of just the general music industry and the lack of diversity in the general music industry. TSIOULCAS: The numbers bear Newman's argument out. Women are missing in popular music. STACY L SMITH: They only represent about 21 percent of all artists. TSIOULCAS: Stacy L. Smith is the founder and director of the Annenberg Inclusion Initiative at the University of Southern California. Earlier this week, her team released its second annual report about the number of women working in the music industry based on the Billboard Hot 100. SMITH: Twenty-three percent of the 700 songs in our sample had one of 10 male songwriters attached to them, 23 percent of the songs. So culturally, we're allowing 10 men to set the norms. That really doesn't represent the world that we live in. TSIOULCAS: Smith says that lack of women's voices really shapes pop music. Katherine Pieper, another Annenberg researcher, says the team interviewed women about working in the business. KATHERINE PIEPER: They were hit on. They were the object of innuendo. They felt personally unsafe in certain situations. Oftentimes their contributions were ignored or not acknowledged, even dismissed by the people they were working with. TSIOULCAS: The Grammy organization is hoping that it can emerge from last year's condemnations as a leader. Tina Tchen is a co-founder of the Time's Up Legal Defense Fund and was Michelle Obama's chief of staff. Last spring, the Recording Academy asked Tchen to lead its new task force for inclusion and diversity. She's well aware that the music industry stats for women are abysmal. TINA TCHEN: Of producers in the music industry, only 2 percent are women. Of engineers in the music industry, only 3 percent are women. It's the 21st century, and we're talking about 2 percent of women and 3 percent of women in these key roles in the music industry. TSIOULCAS: So earlier this month, the Recording Academy announced a new program. It's asking any business or individual who hires record producers or engineers to consider at least two women for any project. Artists who have signed on so far include Cardi B, Post Malone, Pharrell Williams and Ariana Grande. Even so, Tina Tchen says, bigger shifts are going to take a while. TCHEN: We have taken decades, if not millennia, to get in this position with respect to how women advance in our broader culture, not just in this industry. So it's going to take us a lot more than one year to solve this issue. TSIOULCAS: The Recording Academy did expand the number of nominees in its top categories. This year, 5 out of 8 nominees for Album of the Year are women. Anastasia Tsioulcas, NPR News, New York. Transcript provided by NPR, Copyright NPR.